MARIETTA, GA--(Marketwired - Jan 7, 2015) - Cosmetic injectables can provide a wealth of benefits for individuals seeking facial rejuvenation without surgery, explains Atlanta plastic surgeon Thomas Lintner, MD. While each formula offers distinctive effects for particular areas of the face, he notes that they are all basically designed to help combat common signs of aging. He says that while many people may be considering cosmetic injectables and dermal fillers for aesthetic enhancement, not everyone will be qualified for this approach, nor will every type of product available offer equal benefit. Creating a customized treatment plan based on the unique anatomic needs and expressed goals of the patient, he emphasizes, is essential to optimizing the outcome. Understanding the differences between the available types of cosmetic injectables and dermal fillers is paramount before deciding which treatment would best suit a patient, Dr. Lintner suggests, for they are not interchangeable. BOTOX® Cosmetic is not designed to "fill," he says; the neurotoxin-based formula can instead affect the activity of the muscles in the treated areas, reducing the frequency of motion that typically creates lines and wrinkles in the forehead, around the eyes, and between the brows. In contrast, JUVÉDERM® and JUVÉDERM VOLUMA™ XC smooth creases and add volume to the face, cheeks, and jawline by augmenting the skin with hyaluronic acid, a naturally-occurring substance in the body. Furthermore, with regards to how long effects last for cosmetic injectables, he affirms that each product is just as singular. As a result, Dr. Lintner reiterates that a customized treatment plan and thorough examination during the initial consultation will be necessary to determine patient candidacy and help to achieve the desired results. Some common requirements he looks for include being in good general health, having reasonable expectations for the outcome, and reporting no allergies to the product's ingredients. Ultimately, Dr. Lintner admits there is a lot of conflicting information available about cosmetic injectables, the effects they are designed to produce, and how long the benefits last. To assist patients seeking information on these popular treatments, he says he strives to provide a helpful resource that can educate individuals and aid them in making well-informed decisions about their aesthetic enhancement goals. Dr. Lintner, a board-certified plastic surgeon, attended Georgetown University for his undergraduate education and earned his medical degree from Emory University School of Medicine, where he also completed his general surgery and plastic surgery residencies. In addition to previously serving as Chief of Plastic Surgery at Wellstar Kennestone Regional Hospital, he has published numerous medical articles and led several presentations on general and plastic surgery. Furthermore, he is a Diplomat of the American Board of Plastic Surgery and a Fellow of the American College of Surgeons. Dr. Lintner is available for interview upon request. 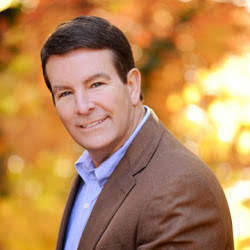 To learn more about Dr. Lintner and his practice, please visit tomlintnermd.com and facebook.com/tomlintnermd.